The small town of Kawardha, located in the State of Chhattisgarh (which as previously a part of Madhya Pradesh), was given the status of a district in the year 1998. The place lies in the region around the Maikal Ranges and is situated to the south east of the Kanha National Park while the River Sakri and to the south of. The presence of tribal inhabitants like the Gond and the Baiga tribes further enrich the charm of the place. Owing to such attractions there are a number of Hotels in Kawardha. All these categories of Kawardha Hotels which are mostly Heritage Hotels can be ranked according to their facilities and services they offer. 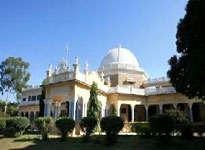 One of such renowned Heritage Hotels in Kawardha is Kawardha Palace. The rooms in the Hotels in Kawardha are furnished exquisitely and are also well maintained. The rooms also provide basic amenities such as attached bathrooms (with availability of running hot and cold water), and a host of luxury facilities. The restaurants at the Hotels in Kawardha serve an array of dishes that consist of North as well as South Indian cuisines. 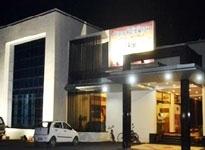 Business Facilities in Hotels in Kawardha, Chhattisgarh consist of the provision of telephone and other allied services. Recreation comprises tours to the temples and palaces of Chhattisgarh. The visit to the tribal areas is also a fascinating experience. The other indispensable services provided by the Kawardha Hotels include proper medical attention (with doctor on call facility), telephone, travel assistance, laundry, power back up, car rental, and currency exchange facilities.